Be happy by sending this Surprising Gift Hamper for Anniversary to your dear ones and see the joy it brings to their life. 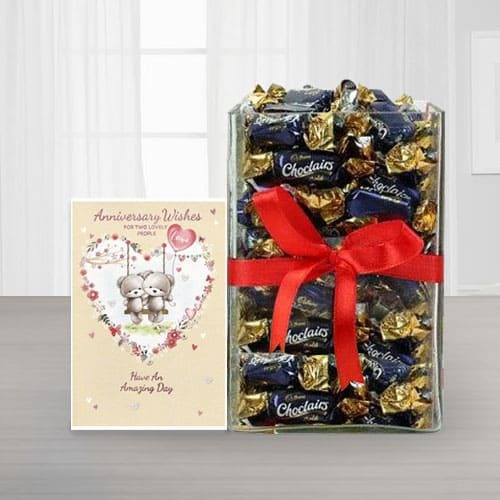 This Anniversary Hamper makes a very well presented gift as it is decked with Eclairs Chocolate in Glass Vase, Rs. 1000/- worth of Pantaloons Gift Coupon and Anniversary Message Card.